Travis Doom, Ph.D., is a legend in the Department of Computer Science and Engineering. Since joining the faculty in 1998, Doom has become a student favorite through his devotion to teaching and learning both in and out of the classroom. Doom has the uncanny ability to meet his students exactly where they are—to bring understanding of complex concepts in mathematics and computer science to the level of the average high school graduate. It’s a skill Nathan Klingbeil, dean of the College of Engineering and Computer Science, believes separates truly great teachers from the rest. “He has consistently demonstrated classroom teaching at the highest level throughout his career, not only in core computer science courses, but also in preparatory courses and bridge programs for incoming engineering and computer science students,” Klingbeil said. Through the college’s Academic Advantage Program, Doom offers each summer a one-week bridge program for freshman engineers focusing on mathematics fundamentals. This program allows students to enter immediately into mainstream engineering rather than first completing a full year of introductory mathematics coursework. In addition to standard classroom teaching, Doom supervises hundreds of credit hours of senior design projects, honors projects, independent study, and thesis and dissertation research. Doom is co-director of Wright State’s bioinformatics research group and pursues research in the fields of undergraduate engineering education, data science (particularly bioinformatics), and digital/computer systems. 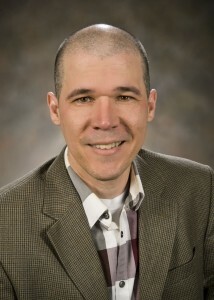 Much of his research involves the analysis of biological data. Doom’s research on forensic DNA analysis has even been cited by the Supreme Court.